Burlington, VT — When the United Nations declared 2012 the International Year of Cooperatives, youth leadership was a global priority. 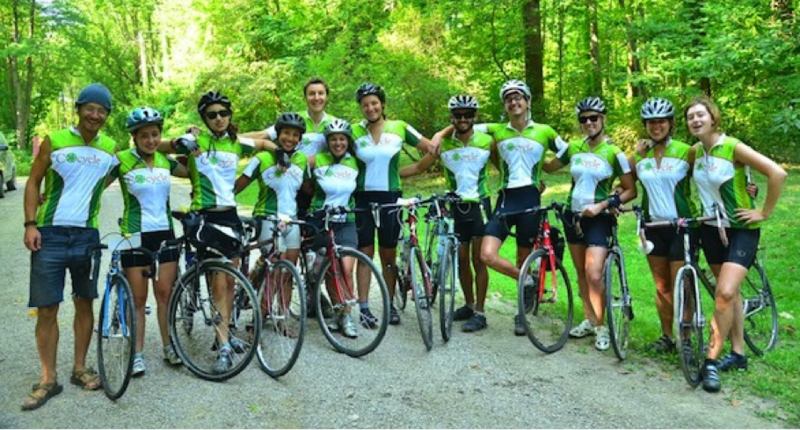 In the US, a team of young leaders bicycled 4,000 miles across the country, visiting over 70 co-ops on the Co-Cycle tour. Their journey is captured in the documentary, To the Moon, which will be screened in conjunction with New Economy Week and Co-op Month. The free screening will begin at 7:30 p.m. on Thursday, October 16 at Maglianero Cafe in Burlington (47 Maple St). The cafe will be open for business with food and beverages. A discussion will follow with Eric DeLuca, who managed the US Program for the International Year of Cooperatives, which sponsored the Co-Cycle tour.